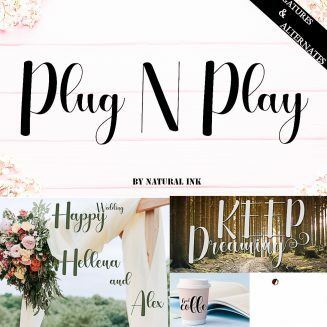 Plug N Play Script is modern calligraphy design, including Regular. This font is casual and pretty with swashes. Can used for various purposes. such as logo, product packaging, wedding invitations, branding, headlines, signage, labels, signature, book covers, posters, quotes and more. 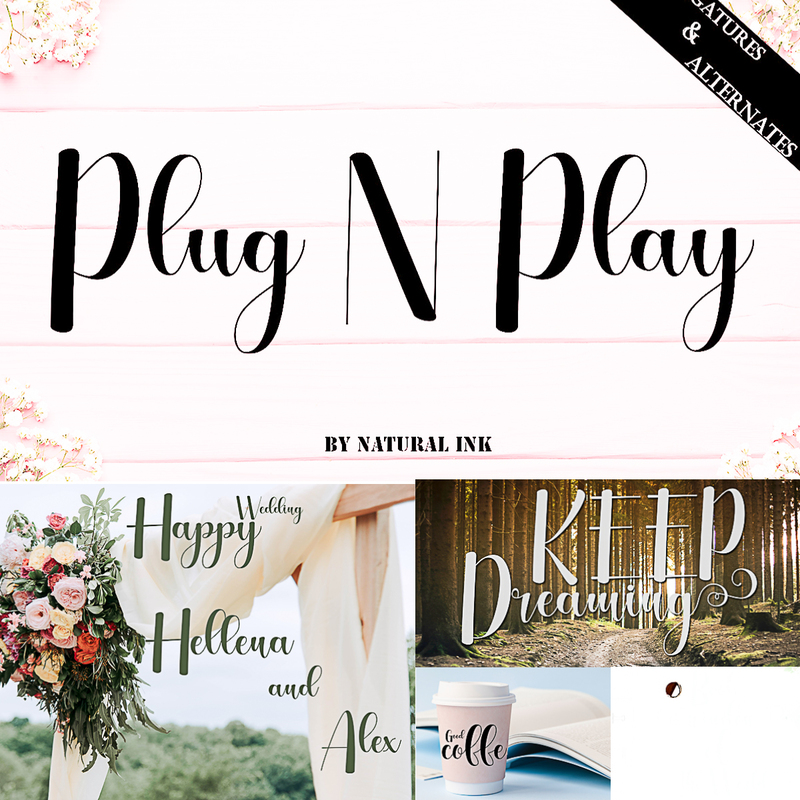 Tags: font, handlettered, handlettering, handwritten, ink, love, natural, script, wedding, wedding font.